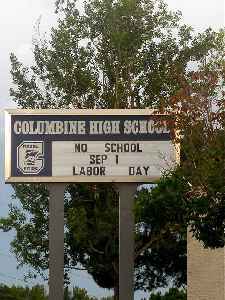 Columbine High School (CHS) is a public high school in Columbine, Colorado, United States, in the Denver metropolitan area. 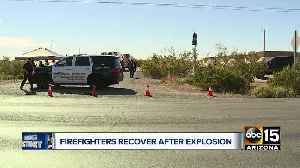 It is part of the Jefferson County Public Schools district. 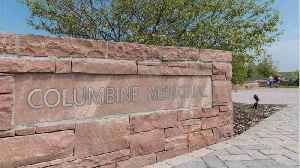 It is most well known for being the site of the 1999 Columbine High School massacre. 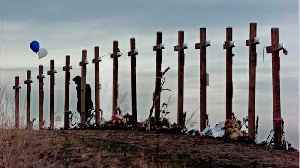 The massacre at Columbine High School was not the first school shooting, but it took place before these events became all-too-familiar. 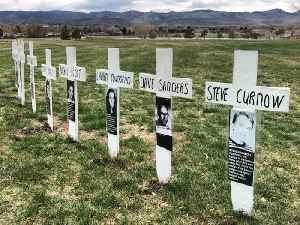 Students and teachers came back to remember those loss, reopening..
LITTLETON, Colo. -- A Colorado community will mark the 20th anniversary of the attack on Columbine High School on Saturday with community service projects and a ceremony remembering the 13 people.. Highlights of this day in history: Nazi Germany's dictator Adolf Hitler born; Gunfire erupts at Columbine High; Cubans in the Mariel boatlift arrive in the U.S.; Ted Williams makes his baseball debut;.. 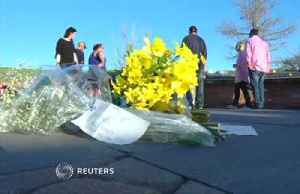 The Denver-area manhunt for a teenager said to be "infatuated" with the Columbine High School massacre revived fears of a new attack on the school. 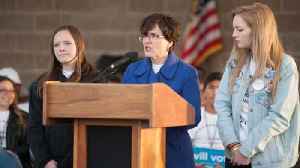 In the nearly 20 years since 12 students and a..
Last month, Kaylee Tyner and other students at Columbine High School launched a campaign dubbed #MyLastShot, asking students across the country to pledge to publicize images of their deaths if they..
"Columbine" author says America "did nothing"
Saturday will mark 20 years since the shooting at Columbine High School, when two teen gunmen claimed the lives of 13 people. Journalist and "Columbine" author Dave Cullen joined CBSN to discuss the..
CNN reported on Wednesday Sol Pais, the armed 18-year-old from Florida who made online threats and was obsessed with the Columbine high school shooting, was found dead, according to an anonymous law..
Sean Graves was shot 6 times at Columbine High School in 1999. 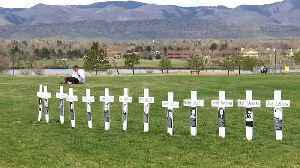 He reflects on how it and other school shootings will affect his daughter's generation. 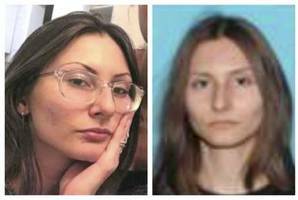 A massive manhunt is underway for Sal Pais, an 18-year-old woman who authorities say traveled to Colorado Monday night ahead of the 20th anniversary of the mass shooting at Columbine High School and..
Denver-area schools are closed on Wednesday as authorities have launched a manhunt for a woman they say is dangerous and has made “credible threats” days before the 20th anniversary of the..
A massive search is underway for an armed and dangerous woman in Colorado said to be "infatuated" with the Columbine High School massacre. 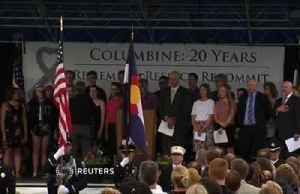 Also, nearly $1 billion is already pledged to rebuild Paris'..
Each morning for the last two decades, Frank DeAngelis has recited aloud the names of the 13 people killed at Columbine High School, where he served as principal during the 1999 massacre that marked a..
A young woman described as "infatuated" with the 1999 Columbine High School massacre was sought by the FBI in Colorado on Tuesday while authorities issued a security alert to Columbine and dozens of.. 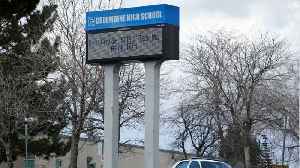 Authorities were looking for an 18-year-old woman suspected of making threats against Columbine High School, just days before the 20th anniversary of a mass shooting. 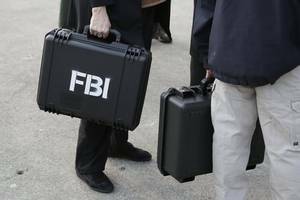 The information prompted a..
Reuters reports an 18-year-old woman, suspected of making threats against Columbine High School a few days prior to the 20th anniversary marking the mass shooting at the school that killed 13 people,.. 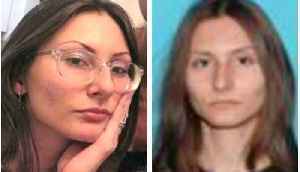 Authorities are searching for a young woman who is believed to be armed and is said to be infatuated with the school shootings at Columbine, which took place 20 years ago this week. Doors were locked.. 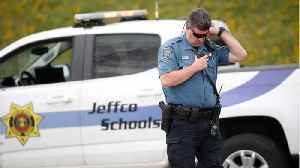 Authorities in Colorado placed Columbine High School and at least a dozen other surrounding public schools under a "lockout" security alert on Tuesday, citing the investigation of an unspecified.. 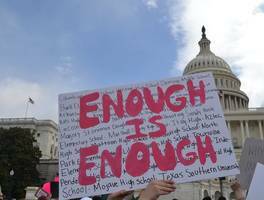 Since the Columbine High School shooting, survivors - now parents - have been navigating their trauma and parenting through a continuous stream of school shootings that have left dozens killed. 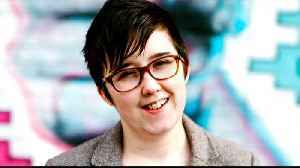 (April..